Connected Devices Will Impact Every Organization; Are You Ready? One of the long-standing messages that we at the Mobile Technology Association of Michigan have tried to communicate to all the businesses, governments, non-profits, and educational institutions in Michigan is that mobile/wireless technologies will soon be an integral part of their organization if they aren’t already – it’s not an option or a ‘maybe’, it’s a certainty. Further, how well they integrate these technologies into their business will impact their productivity and/or profitability going forward, and in some cases, their survival. Unfortunately, this message is still a challenge to get the majority to comprehend – particularly because when most people think ‘mobile’ they think ‘cell phone’ or ‘tablet’. They don’t yet have awareness of the wide variety of mobile devices and mobile technologies that exist, nor do they understand the concept of ‘Internet of Things’ which focuses on the idea of machine-to-machine connected devices. Therefore, we at MTAM are always glad when we find a resource that can help us convey this information to our communities in an easy-to-understand manner. 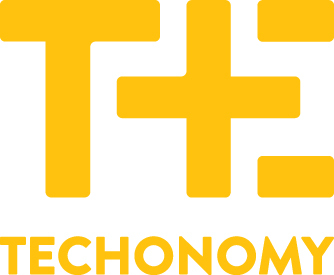 We found such an easy-to-understand article in a recent post on Techonomy.com, and with their permission, have incorporated that article into this blogpost. We encourage you to read the article and to begin considering how your business may be impacted by these technologies. Should you have questions, or need assistance, MTAM is here to help! As the state’s trade association for mobile/wireless technologies, the companies that provide them, and the companies that use them, we’re always available to provide information on ways your organization can take advantage of these technologies and maximize the opportunity they provide. We’re easy to reach at info@GoMobileMichigan.org. This year, the number of mobile-connected devices will exceed the world’s population. To survive the coming decade, most organizations will have to respond in some way to the rise of connected devices. As connected products, connected logistics, and connected phones become ubiquitous, they create value for users and risks for companies. If you’re reading about the Internet of Things for the first time, here’s a short primer. But now that there’s widespread knowledge about the Internet of Things (IoT) — also known as the Machine to Machine internet (M2M) or the Industrial Internet (II) — we at consulting firm Undercurrent find that senior leaders at global organizations still struggle to articulate how it will meaningfully change their business, or shrug it off because they’re in the energy business, or the orange juice business, or name your 20th century business. Winners will know they’re winning before losers find out they’re losing. The pressures the IoT brings affect all types of organizations. For companies that make durable physical products it’s easy to imagine a digitally connected version. For companies that make consumables, the Internet of Things is slated to revolutionize logistics. For both, ubiquitous connected mobile devices are already changing commerce, workflow, and customer relationships. Here are ten ways IoT will affect companies, and how companies can respond. 1. DO OR DIE, THE MARKET EXPECTS IT. Over the next three years, every major manufacturer will have to include connectivity in its business product lines or logistics. Consumers will demand it soon, but Wall Street will demand it first. Companies like Tesla with their connected car or Amazon with their connected logistics are already trading above traditional valuations. Shareholders and analysts will evaluate companies based on their ability to integrate connectivity into their business and product lines. 2. MAKING PRODUCTS IS EASY, BUT PRODUCTION CHANGES TOO. Manufacturers of consumer durables and equipment manufacturers will have to make connected products. CPG companies and grocers, will have to build in smart logistics. The new tech enables efficiency in managing production and distribution. Connected sensors monitor liquids, gases, and chemicals in real time. Route automation for moving things is on the horizon. Fleets of driverless trucks will soon become the standard. 3. THE RACE TO OWN THE PLATFORM STARTS WITH A PRODUCT FOCUS. Competition will be dire, as most businesses will try to own the platform. While the tendency in big business is to build the platform first, every platform business starts off as a product business. Nest didn’t build a platform first, it built the best thermostat. To win, start with a hero product that conquers hearts and markets. This requires a radical focus on creating products and experiences that are beautiful, functional, and valuable to customers. 5. IOT IS AN ECOSYSTEM PLAY, AND ENABLES RELATIONSHIP GROWTH. IF YOU’RE IN THE CONSUMER BUSINESS, OWN THE HOME OR THE BODY. In the future, consumers will buy new products based on how well they integrate with their smart home appliances or their health app. In June Apple released development kits for the smart home and the smart body. They’re enabling your competition and startups worldwide to create beautiful experiences for connected devices. When you go to Best Buy in a couple of years, you’ll ask if your new washing machine displays a discreet notification on your iTV. Being present in the home meaningfully also creates a commercial channel, and creates opportunities for great partnerships. You’d benefit if your fridge automatically re-ordered groceries from FreshDirect or Amazon Fresh, and so would the partners involved. Connected equipment can sense and communicate a potential fault in any system before it creates a crisis. Such equipment can also lead to new efficiencies. For instance, a full milk tank can signal a smart truck to come pick up farm-fresh milk. Either way, a new service-driven model creates a reliable recurring revenue stream and protects your business from downstream challengers. 6. ALTERNATIVE BUSINESS MODELS WILL EMERGE. When connected products become pervasive and communicate continuously with one another, marketplaces are created involving machines, not just people. Imagine a future where your fridge negotiates with the grid in real time to get you the best rate on power if it can wait a bit for the next cool cycle. Optimization provides quantifiable benefits, and value becomes apparent to your customers. Inside industry-leading businesses, the risk tolerance required to embrace new business models (think Innovator’s Dilemma) is paramount to making big leaps. 7. YOUR ORGANIZATION WILL NEED NEW SKILLS. Creating these products or supply chain improvements will likely require you to focus on hiring more engineers, designers, and data scientists. Hardware is increasingly just software wrapped in plastic, and connected hardware is all about data. Your organization structure might have to adapt as well in order to move faster. You might have to shed some fat in other areas of the business. Teams will have to be leaner, smaller, and multi-disciplinary to get to market faster. 8. IN EMERGING MARKETS (AND BEYOND), MOBILE BECOMES THE DEFAULT INTERFACE. In Kenya, more than two thirds of the adult population uses a mobile digital currency called M-Pesa; 25 percent or more of the country’s GNP flows through this parallel financial system. Most emerging markets already have pervasive mobile usage, and smartphone adoption is increasing in the rising mobile-first billion. Besides being a requirement for products or solutions targeting developing markets, mobile is a natural interface for connected devices. I love Benedict Evans’ perspective on this: dumb sensors paired with smart phones become exponentially more valuable. 9. EXISTING ASSETS OR INFRASTRUCTURE BECOME MORE VALUABLE WHEN THEY’RE CONNECTED. For many companies, perhaps the most overlooked asset class is the network of products and customers that an established business has already created in the world. Imagine you’ve been selling vacuum cleaners or street lamps for decades. Odds are, there are thousands or even millions of products exist in the world with your brand. Similar to how cell tower businesses use their network of physical assets (towers) to create new revenue streams by leasing out spots on the towers, all companies with products out in the world have a potential base to integrate sensing, connectivity, and intelligence open new and exciting revenue streams. Imagine how valuable the street lamps on your highway become if they broadcasted up-to-the-second traffic updates. 10. MORE THAN ANYTHING, RECENT ADVANCEMENTS IN CONNECTIVITY, ARTIFICIAL INTELLIGENCE, AND ROBOTICS DEMAND A CHANGE IN STRATEGY. Organizations will require a clearer visionary focus and purpose. The teams and skill-sets required for companies to succeed in the near future need to pair up with new ways of working. Leadership teams must find comfort in embracing unknowns and iterating towards solutions, and they have to empower their teams to move quickly into new markets and product spaces. The change brought on by this new wave of connectivity will be will be subtle at times, but always valuable. What’s intimidating is that winners will know they’re winning long before losers find out they’re losing. Vladimir Pick works as a senior strategist for New York City consultancy Undercurrent, where he advises leaders of Fortune 100 companies on strategy, organizational design, and digital transformation. The growth of the M2M (machine-2-machine / mobile-2-machine) sector of the mobile technology industry is set to explode over the next 10 years according to a multitude of forecasters and analysts. The general consensus typically estimates that M2M device connections will grow from a rate of 62 million in 2010 to reach 60 billion by 2020 – and Michigan is well-positioned to benefit from that growth. In the next meeting of Mobile Monday Detroit at Automation Alley in Troy on November 14th, the organization will explore the future of M2M technology on a global and national scale, as well as looking at its potential to positively impact Michigan specifically. Anyone interested is welcome to attend the meeting at no charge, though reservations are required. They can be made at http://meetup.com/mobile-monday-detroit .